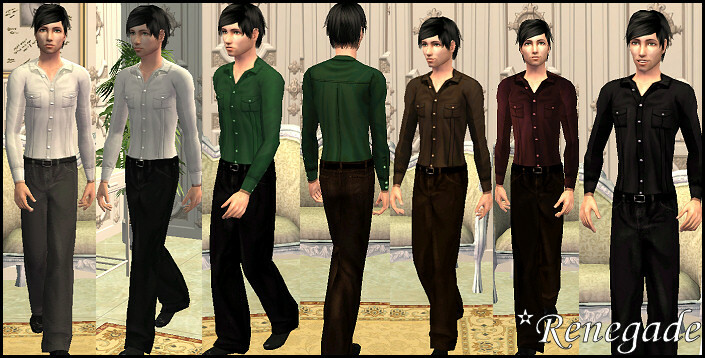 Here are some original clothing creations. Unzip the downloads into your My Documents/EA Games/The Sims 2/Downloads folder, and make sure Custom Content is enabled for these to show up in your game. Click on the display picture to show a bigger version. You can also click an individual colour name to view that outfit. Set: Contains 4 swimsuits & PJ's for Young Adult and Adult Females. Set: Contains 7 full-body outfits for Teen Females. 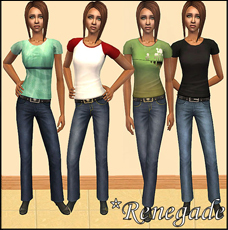 Set: Contains 4 outfits for Young Adult and Adult Females. Set: Contains 8 outfits, dress shirts tucked into pants. 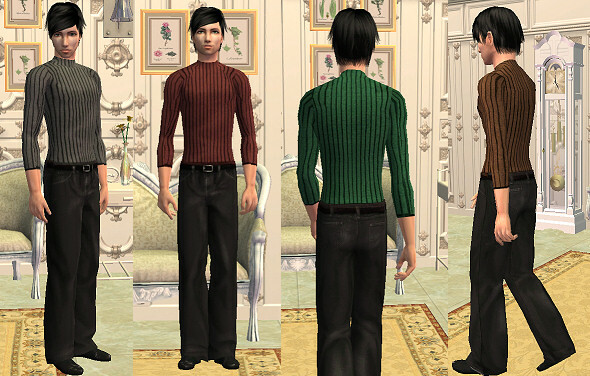 Notes: Full body outfit, different coloured tops paired with pants. Download is also available at MTS2. Set: Contains 6 coloured tops, each paired with black pants. 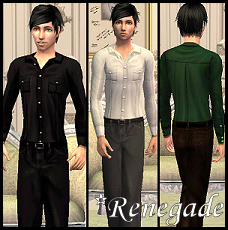 Notes: Full body outfit, different coloured tops paired with the same black pants. Available at MTS2.